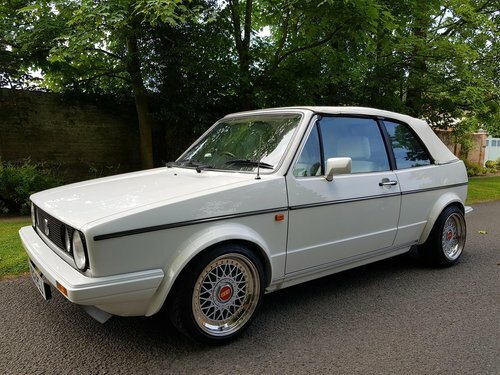 The Golf is in immaculate condition, rust free, with one of the best undersides you’ll see on a Golf (given the age - 1986) the paintwork is outstanding. 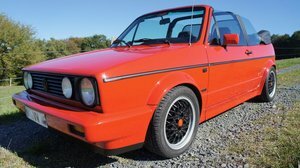 Since the car has been owned it has always been garaged and never driven in the wet. 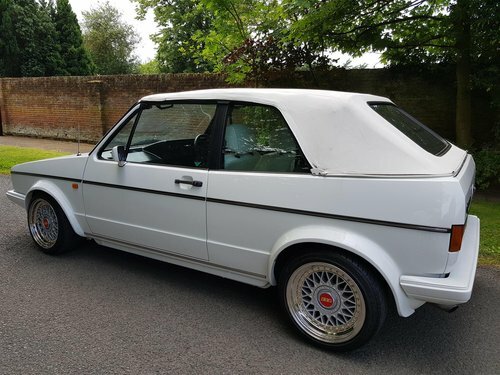 It is an excellent all round, a genuine pleasure to drive and ultimate summer car! 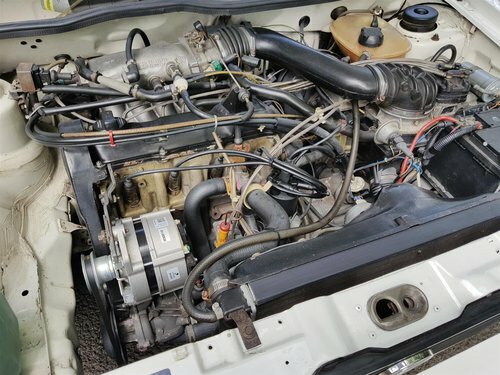 It has covered 123k but the car feels more like 50k. 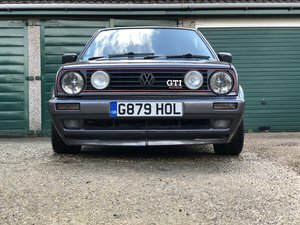 MOT has just been completed in June 2018 (no issues at all - PASS) and has had the following work carried out over the past year to bring the car up to almost new condition, VAG parts used when possible. 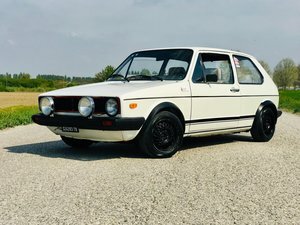 I have all the receipts and work was completed by a VW specialist. ST suspension ST XA coli overs – These have only been fitted as the previous owner had a mid-range kit fitted but the handling now is nothing short of exceptional. 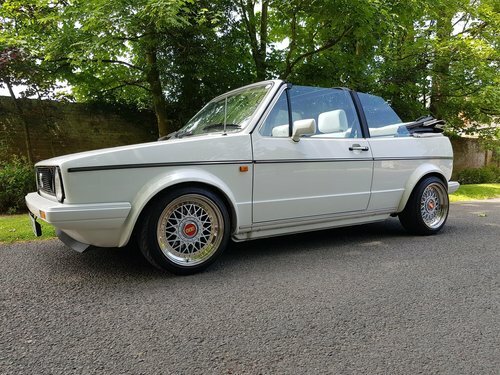 Genuine BBS RM, 15 inch, 4x100, 2 piece split wheels – These have been fully built professionally by voodoo wheels, they are staggered lips with 7.0j on the front and 7.5j on the rear. 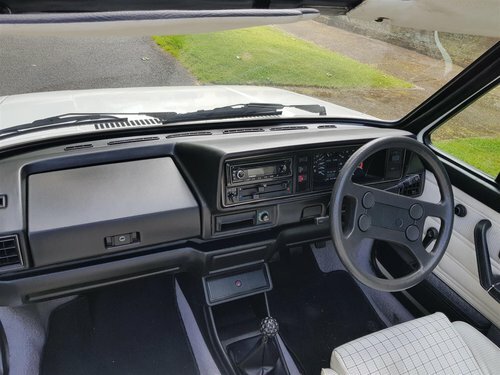 *The cost alone for the wheels are £2k. The tyres are in excellent condition with plenty of tread. 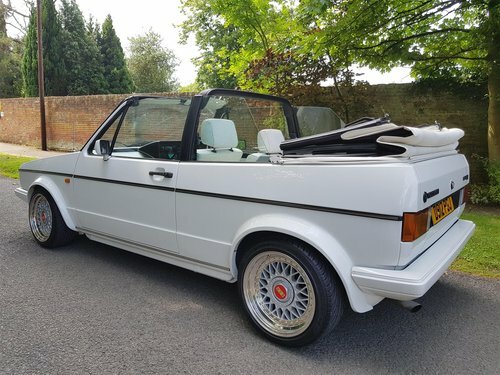 This truly is an immaculate example of a Mk1 GTi cabriolet with the next owner getting a magnificent 80's classic which is appreciating. 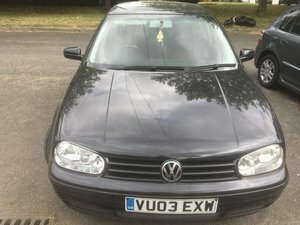 Please feel free to call should you have any further questions but would appreciate only serious enquiries.